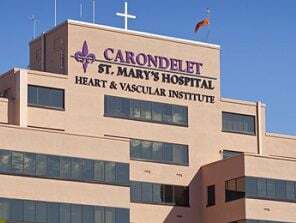 Today, Carondelet St. Mary's Hospital, part of Carondelet Health Network, remains the flagship for southern Arizona's oldest health care provider. As a founding member of the National Chronic Care Consortium, hospital and its staff are working to create a “continuum of care” for patients, where they can receive health care services at home, in the community, in an outpatient or inpatient setting or at a long-term care center. Carondelet's services cover southern Arizona.